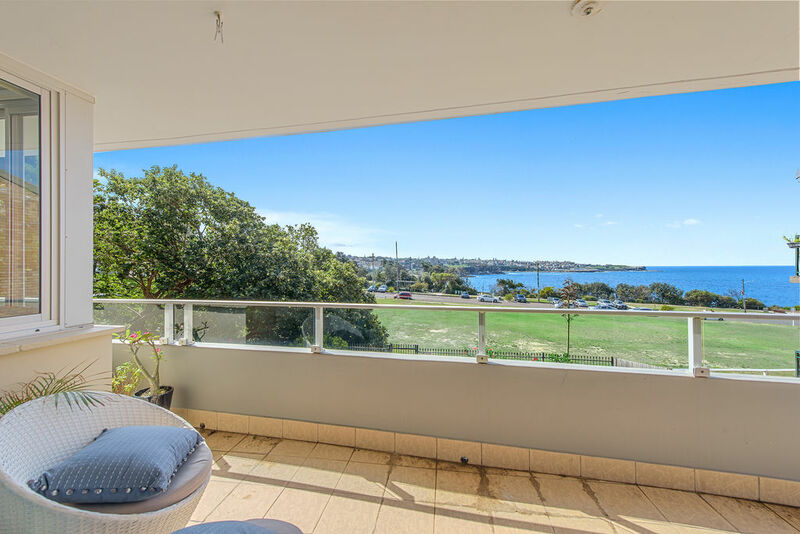 Imagine the ocean feeling so close you could reach out and touch it when sitting on your balcony, on your living room sofa or making your morning coffee. 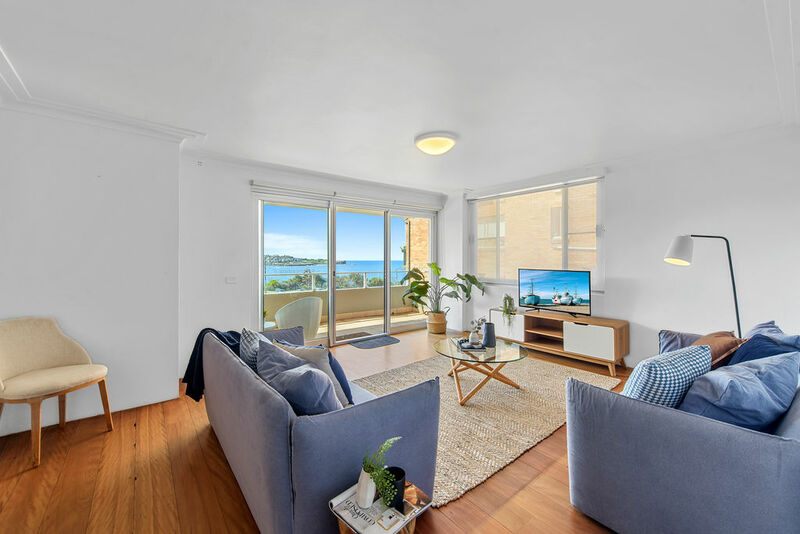 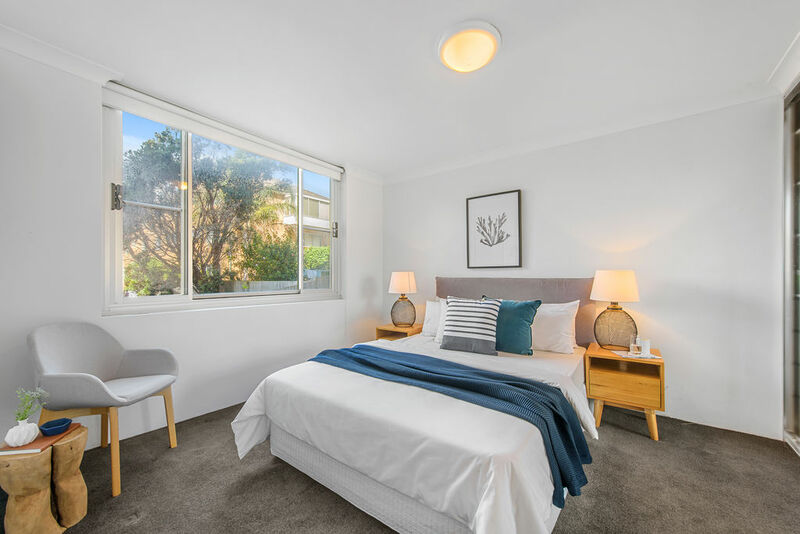 This stunning and spacious Coogee apartment offers sweeping north-facing views from the kitchen and living room as well as from the wide, undercover balcony. 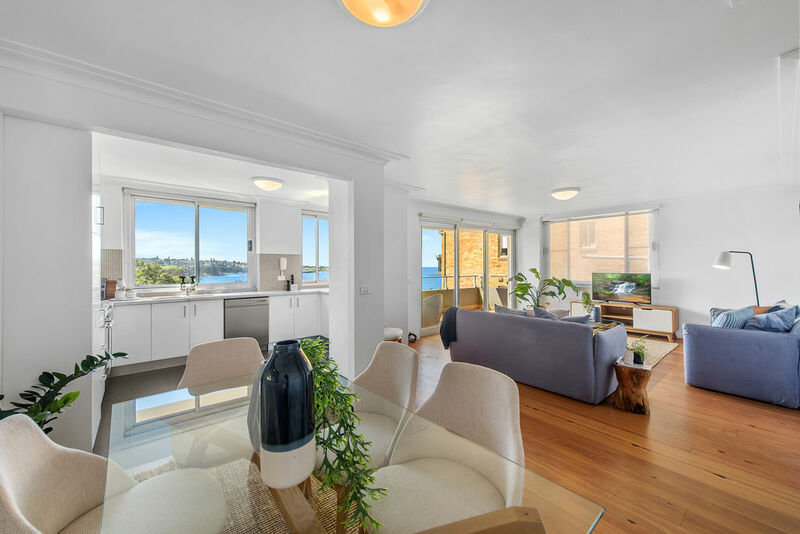 The living experience in this apartment is truly spectacular. 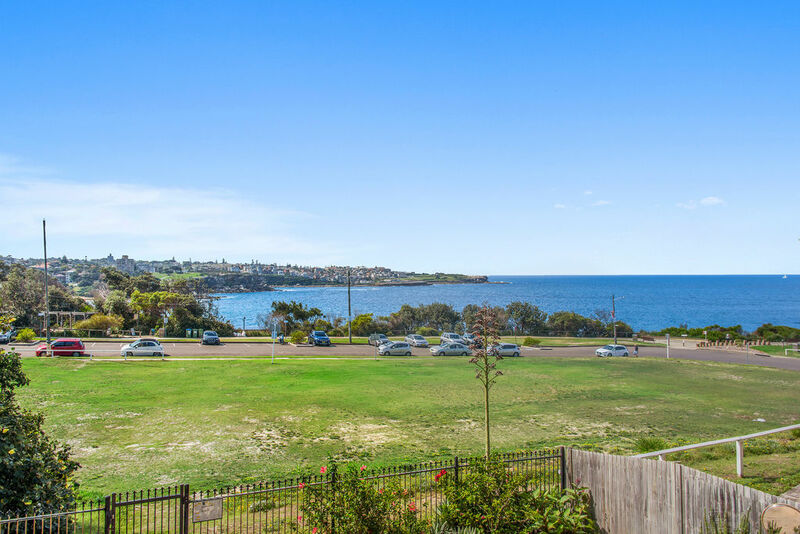 From watching the waves crash against the cliffs of Coogee, Gordon’s Bay and Clovelly, to strolling out your door, down 4 steps through a gate onto parkland, you can be at Wylie’s, the women’s baths and Coogee beach or shops after only minutes of walking the beautiful coastal track. 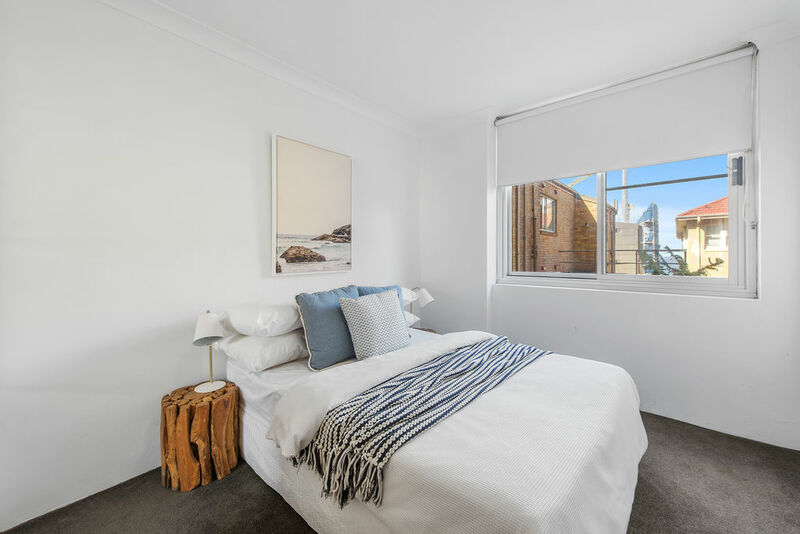 All three generously sized eastern-facing bedrooms capture the morning sunlight and offer ample built in wardrobe space. 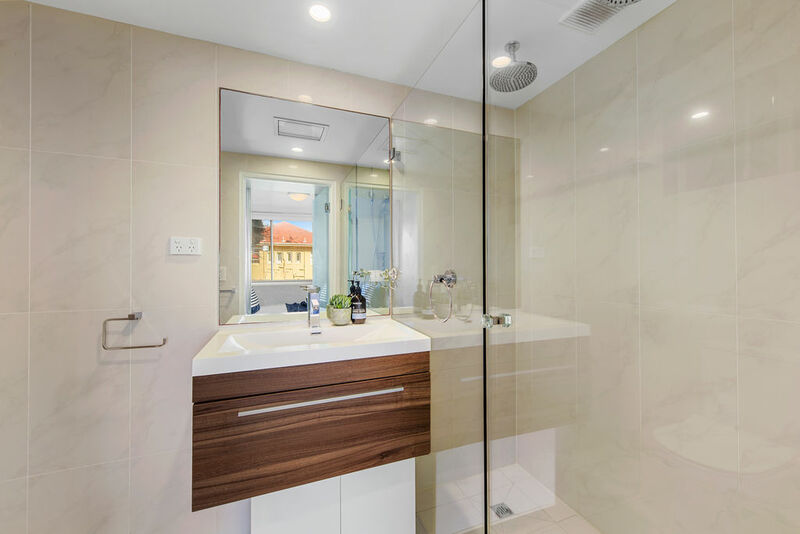 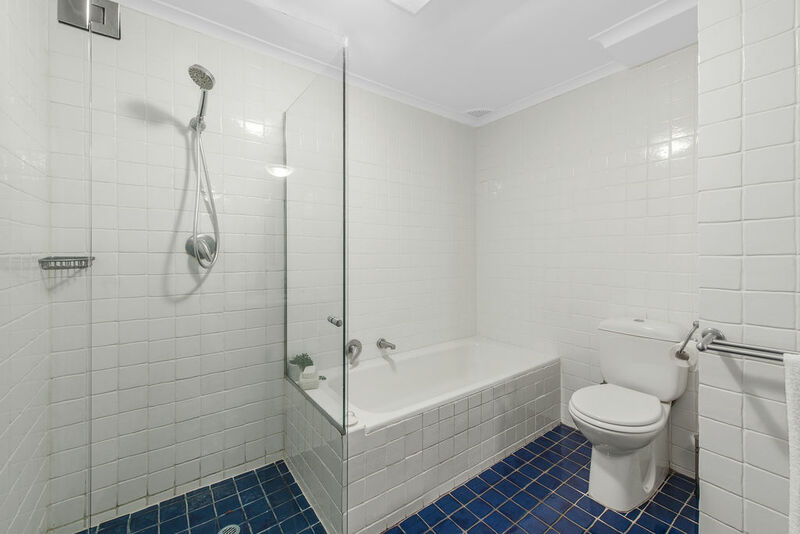 The master room has a renovated en-suite bathroom, while the spacious main bathroom includes a full-sized bathtub. 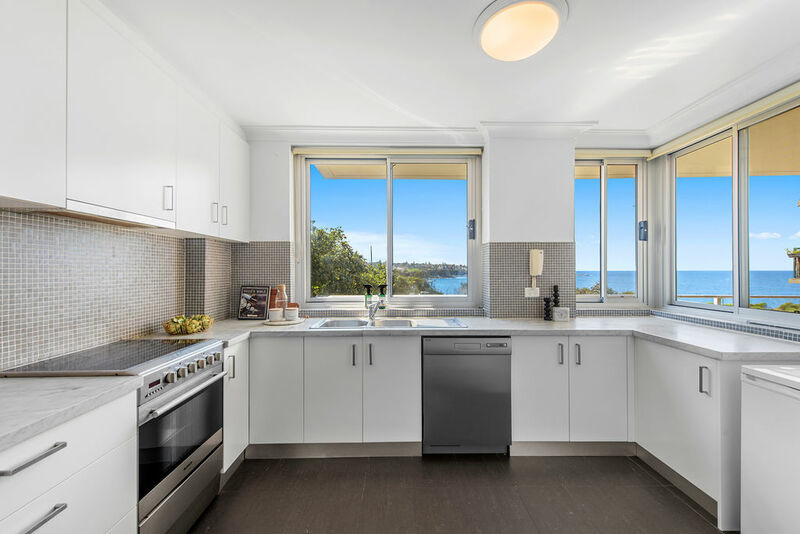 In the kitchen, preparing meals on the spacious stone benchtops involves overlooking the ever-changing ocean, while ample storage options ensure more than enough space for all your kitchen appliances. 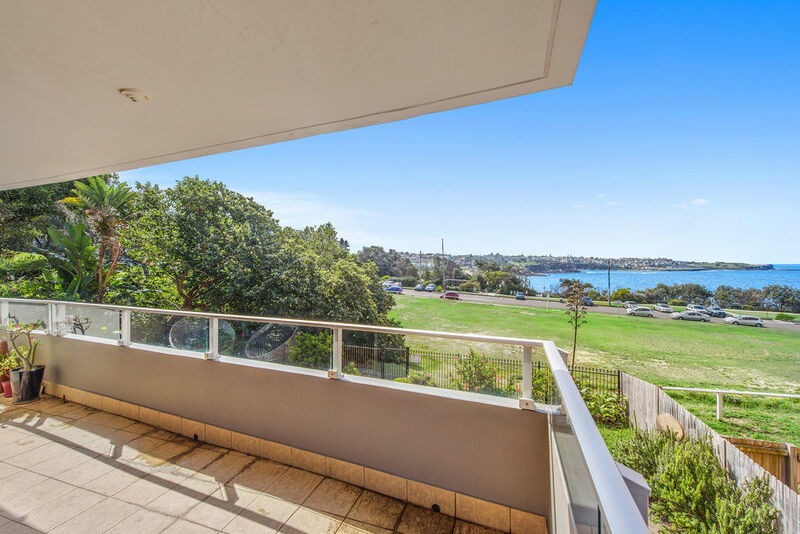 Alternatively, the balcony is spacious enough for both BBQ cooking and hosting a dinner party. 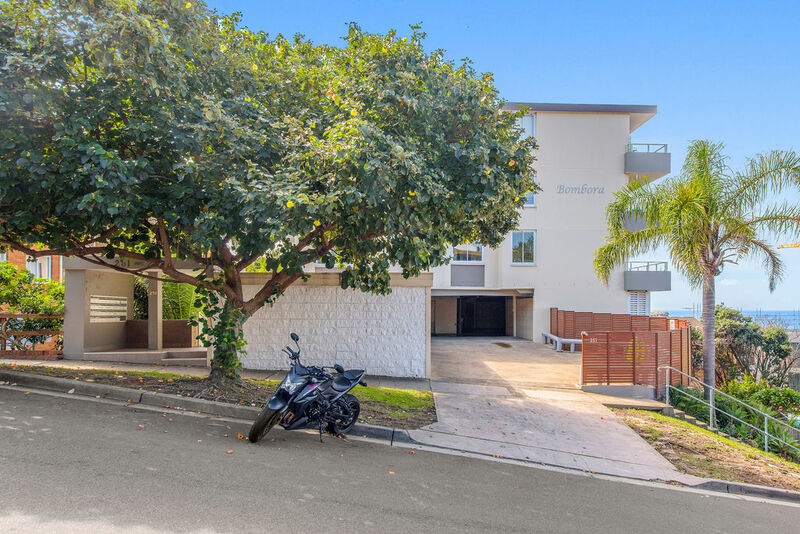 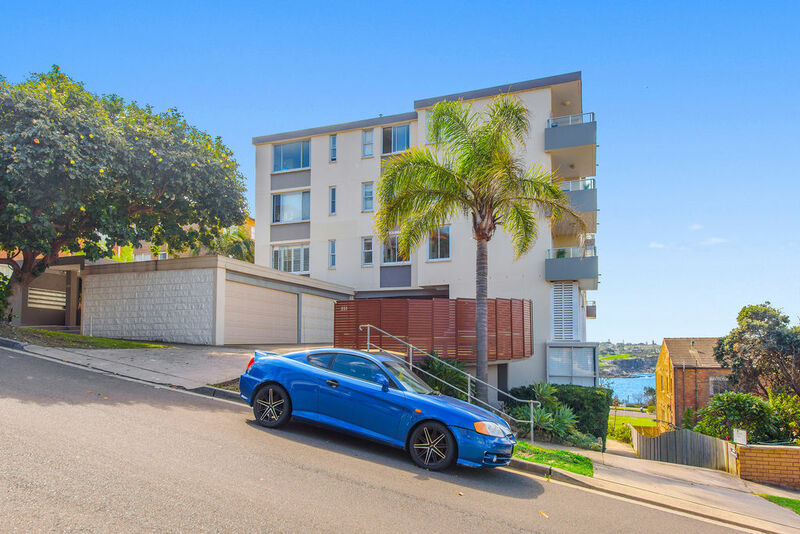 Enjoy privacy from the street front traffic and noise, as this apartment is at the rear of the building, and accessed most easily from a hidden side path from the driveway or the back path overlooking the ocean, rather than the stairs from front door. 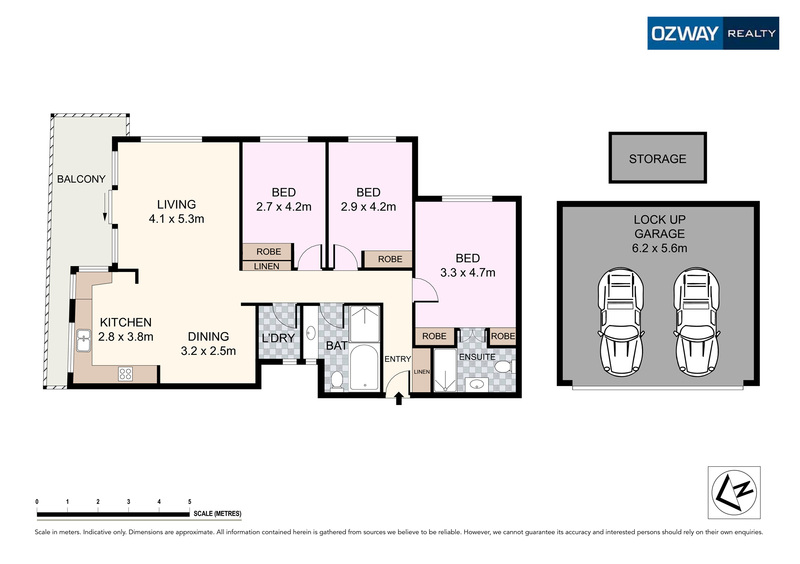 This means first level access with just a few steps and easy transit from the double lock up garage. 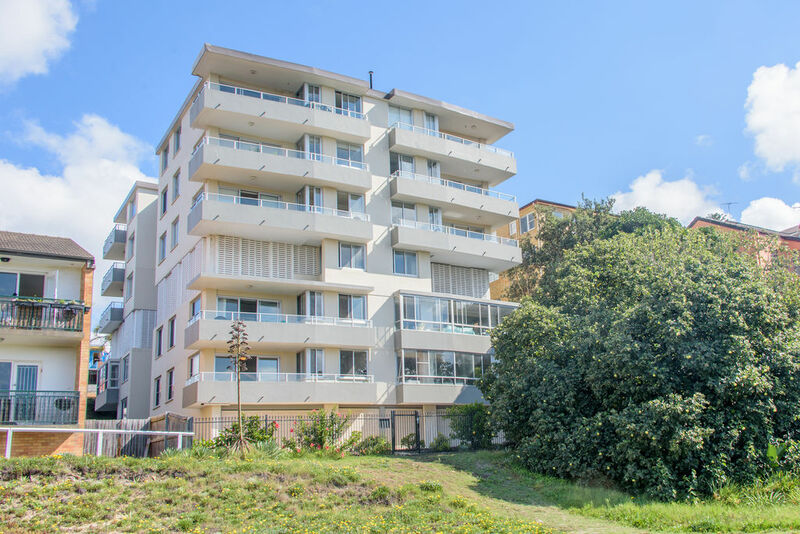 Beyond generous storage throughout the apartment is a separate storage cage, so you can easily move from a house and enjoy a clutter free beachside lifestyle.